German airline expands activity to Eilat, amid increasing tourism to Israel from Germany. The German airline Lufthansa, which is celebrating 50 years of operations in Israel, is expanding its activity to another destination in Israel - Eilat (Ovdah). The company will operate four weekly flights on A320 aircraft to Ovdah, with two weekly flights from Frankfurt on Sundays and Mondays (from October 28, 2018) and two weekly flights from Munich on Tuesdays and Saturdays (beginning November 8, 2018). The opening of the new routes from Germany to Eilat is the result of cooperation between the Ministry of Tourism and Lufthansa, in which the airline receives a grant of €60 per passenger landing in Eilat. The grant is intended for marketing the new routes. 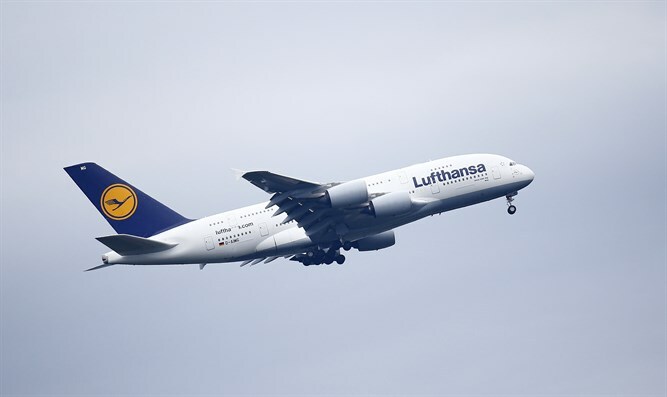 Lufthansa's new flights will increase the number of tourists from Germany. In 2017, incoming tourism from Germany to Israel increased by 33% as compared to 2016. In 2017, 220,000 tourists arrived from Germany, compared with about 165,000 in 2016 and 160,000 in 2015. 40% of German tourists visiting Israel are return visitors. About 85% of German tourists visit Israel as independent travelers (FITs), with the average length of stay 7 nights. The significant increase in tourism from Germany to Israel, with approximately 90 direct flights, is the result of a variety of marketing and advertising initiatives by the Israel Ministry of Tourism. These initiatives include, inter alia, the promotion of the Two Cities. One Break campaign; incentives for new direct flights; intensive activities with German tour operators to increase sales, and many public relations activities. The launch of new routes into Eilat represents a vote of confidence by Lufthansa, the largest airline group in Europe, in the Israeli tourism product and in Eilat. The opening of the new routes was also promoted at the ITB tourism fair held in Berlin a few months ago - where Tourism Ministry Director General Amir Halevi and Director of the IGTO in Berlin Uri Sharon met with senior officials in Lufthansa and presented them with the economic potential of opening new routes into Eilat. Ofer Kish added: "These flights join the announcement last March by Edelweiss, from the Lufthansa Group, about the launch of a scheduled route from Zurich, Switzerland, to Eilat (Ovdah) starting on October 28, 2018. Therefore, the group will operate five weekly flights to Eilat this winter. It is important to note that the airports of Frankfurt, Munich and Zurich are major hubs in Europe and are expected to bring to Israel tourists from many other countries on the continent. "